Named a University Professor by Harvard University – the highest recognition that can be awarded to a Harvard faculty member – Dr. Porter and his competitive doctrine continue to spur catalytic change across global business, government and social sectors. Dr. Porter’s early work was on industry competition and company strategy, where he was the pioneer in utilizing economic theory to develop a more rigorous understanding of industry competition and the choices companies make to compete. In addition to advancing his home field of industrial organization economics, Dr. Porter’s work has defined the modern strategy field. More recently, his work focuses on elevating America’s competitiveness through Harvard Business School’s U.S. Competitiveness Project – a research-led initiative that is part of the Institute for Strategy and Competitiveness, dedicated to furthering Dr. Porter’s principles. His Harvard Business Review article, How Smart, Connected Products Are Transforming Competition (November 2014), details a new era in competition driven by information technology and the Internet of Things. To capture the value creation opportunity presented by smart, connected products, businesses and their leaders must assess every part of their business strategy, he says. Additionally, Dr. Porter has written about economic development and competitiveness, focused on the micro-economic underpinnings of national and regional economic development. His book “The Competitive Advantage of Nations” (Free Press,1990) was the initial foundation of this body of work. He also created the Cluster Mapping Project, which pioneered the rigorous measurement of economic geography and has become the standard in the U.S., Europe, and a growing number of other countries. His theories are widely applied by both government policymakers and economic development practitioners globally. Dr. Porter plays an active role in U.S. economic policy with the Executive Branch and Congress, and has led national economic strategy programs in numerous countries. Dr. Porter also developed a body of work on the role of corporations in society. His ideas have changed the way companies approach philanthropy and corporate social responsibility, and he introduced the concept of creating shared value in a 2011 paper with Mark Kramer that shows how capitalism itself can be the best route to real solutions to many social problems. Dr. Porter has also led the development of the conceptual framework underlying the new Social Progress Index. First released in 2014 and covering 132 countries, the Index rigorously measures each country’s social progress across multiple dimensions to complement traditional measurement focused solely on economic performance and GDP per capita. Dr. Porter also devotes considerable attention to the economics of health care. His book, “Redefining Health Care” (Harvard Business Review Press, 2006), written with Dr. Elizabeth Teisberg, outlines a new strategic framework for transforming the value delivered by the health care system. Through this book and a series of articles, including What Is Value in Health Care? (New England Journal of Medicine, December 2010) and The Strategy That Will Fix Health Care (Harvard Business Review, October 2013), Dr. Porter has introduced the core concepts for reorganizing health care delivery organizations, measuring patient outcomes, understanding the actual cost of care by medical condition, designing value-based reimbursement models, and integrating multi-location healthy systems, among others. Embracing his entrepreneurial spirit and passion for furthering important social causes, Dr. Porter has founded or co-founded four non-profit organizations growing out of his scholarly work: The Initiative for a Competitive Inner City, which addresses economic development in distressed urban communities; the Center for Effective Philanthropy, which creates rigorous tools for measuring foundation effectiveness; FSG, a leading non-profit strategy firm serving corporations, NGOs, and foundations in improving social value creation; and the International Consortium for Health Outcomes Measurement (ICHOM), which develops global patient outcome standards and risk factors by medical condition and drives their adoption globally. Dr. Porter received a Bachelor of Science in engineering with high honors in aerospace and mechanical engineering from Princeton University, a master’s degree with high distinction from Harvard Business School; and a doctorate in business economics from Harvard University. He is the recipient of 22 honorary doctorates, and several national and state honors, including the first-ever Lifetime Achievement Award from the U.S. Department of Commerce for his contribution to economic development. Michael E. Porter is available for paid speaking engagements, including keynote addresses, speeches, panels, and conference talks, and advisory/consulting services, through the exclusive representation of Stern Speakers, a division of Stern Strategy Group®. The global economy is facing serious challenges – major recession, stalled job growth, rising energy and commodity prices, erosion of public confidence. More than ever, countries and companies alike must learn to compete in an ever-evolving, increasingly volatile world marketplace, and put into place the fundamentals underpinning growth and development. 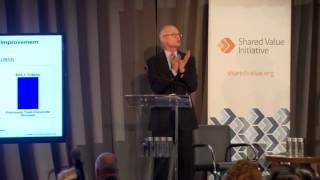 By mapping out a long-term strategy, says Dr. Michael Porter, organizations, nations and cities alike can better ensure future vitality and prosperity. Informed by his proven theories on competitiveness, he discusses the nature of market competition and its impact on strategy, and delves deep into the relationship between market competition and social concerns. Of course, good leadership is also pivotal, and Dr. Porter advises on what leaders must do to ultimately secure their economic future. With its promise to connect our lives in an ecosystem that understands how we live, work and play, the Internet of Things is the newest buzzword, but its implications are not yet entirely understood. In fact, the Internet of Things falls considerably short of an explanation for the strategic and competitive shifts underway in business as smart, connected products usher in a new era of competition fueled by information technology (IT), says renowned economist Dr. Michael Porter, the foremost authority on strategy and competition. Until now, a framework for understanding and setting strategy aligned with IT’s transformation didn’t exist. In his latest Harvard Business Review article, Dr. Porter deconstructs this next generation of IT, and navigates how the rapidly transforming nature of products – now made smart by combining hardware with sensors, electronics and software, and connected through the Internet of Things in myriad ways – is restructuring value chains, altering industry structure, broadening industry boundaries, redefining opportunities for competitive advantage and creating new competitive threats. Every company, especially manufacturers, has an urgent need to rethink nearly everything – from how products are conceived, designed and sourced, to how they are manufactured, operated and serviced. 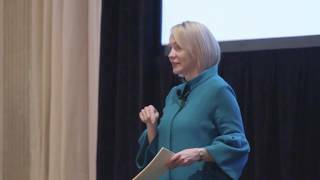 Dr. Porter explores various, compelling case examples of how companies and industries are capturing the value creation opportunity presented by smart, connected products – and how others must also assess every part of their business strategies and consider new models. 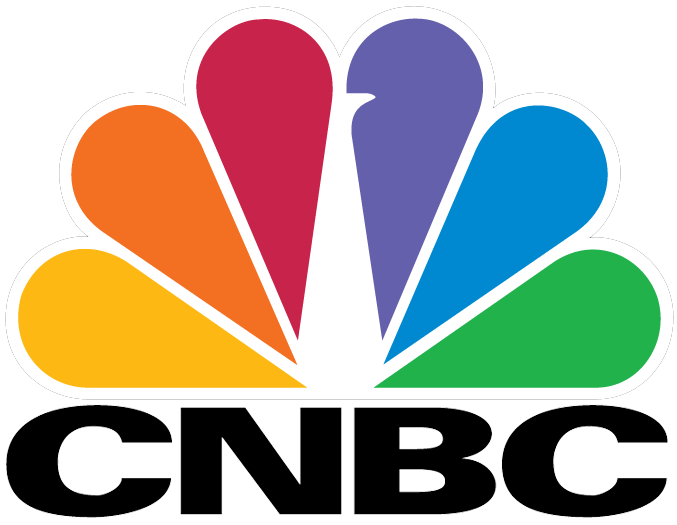 “This third wave of information technology not only will create step function improvements in product capability, but will radically improve our ability to meet many business and human needs,” he says. And if companies move aggressively, they will enable the U.S. to reinvigorate its capacity as a technology leader in the global economy. Dr. Porter’s thinking and call to action is transformational – and essential for anyone looking for ideas to start a business, lead a division or run a company. 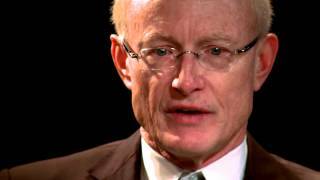 The arguments for how to change health care are numerous, but Dr. Michael Porter believes there is only one real solution: maximize value for patients – that is, achieve the best outcomes at the lowest cost. Our current supply-driven health care system centers around services provided – physician visits, hospitalizations, procedures and tests – in settings that don’t offer the full-range services. This has resulted in health care that is fragmented, inconvenient and costly. We must move away from this model, urges Dr. Porter, and embrace a new strategy: one that puts patients at the center and is organized around their needs. 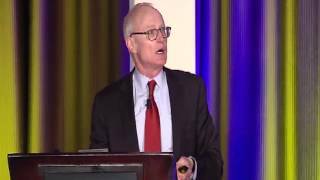 He discusses how, by shifting emphasis from physicians’ specialties to patients’ medical conditions, measuring costs and outcomes for each patient and integrating care across separate facilities, health care providers and care organizations can dramatically increase the value of health care while driving down costs and improving patient outcomes. Even as countries around the world continue to emerge from a bruising recession, businesses are still bearing the brunt of the blame for the economic crisis. 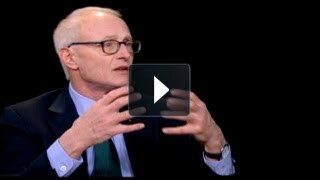 Companies themselves are partly to blame, argues Dr. Michael Porter, because they remain trapped in a narrow-minded approach to value creation, optimizing short-term financial gains instead of addressing society’s bigger and broader problems. But these challenges can be overcome by working toward creating shared value, in which businesses enhance their competitiveness while also improving the economic and social conditions in the communities where they operate. It is not enough to be a corporate donor, he argues. He explores various and powerful ways companies can benefit society – as well as drive their own growth and profitability. Dr. Porter believes this reimagining of capitalism and its relationship to society will fuel a new wave of innovation and productivity – and perhaps most importantly, help the business world regain legitimacy in the eyes of the public.